It’s one thing to side with the enemy, it’s quite another when you employ the full force of government to persecute and silence your enemies. 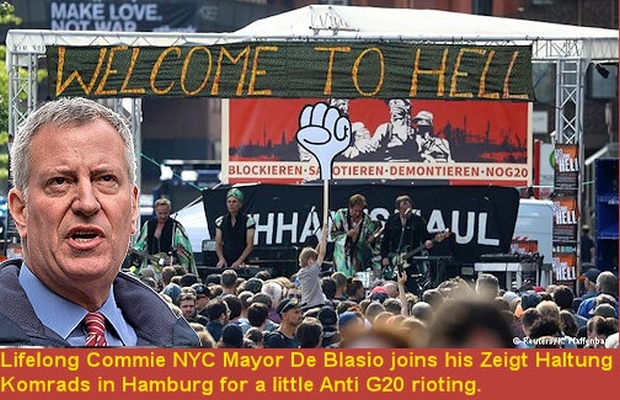 De Blasio stood with the Sandanistas, “Palestinians” and Castro’s Cuba. 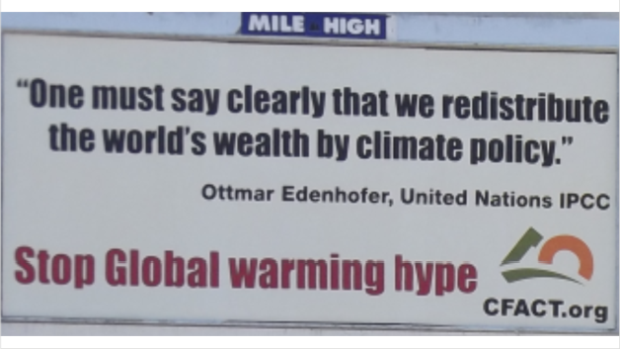 He’s a corrupt communist, he knows no other way. Mayor Bill de Blasio and City Council speaker Melissa Mark-Viverito can’t say enough good things about FALN thug Oscar Lopéz Rivera. Mayor Bill de Blasio attended a lesbian, gay, bisexual and transgender-friendly St. Patrick’s Day parade on Sunday, and told participants that a society for all is one that embraces and respects everyone. 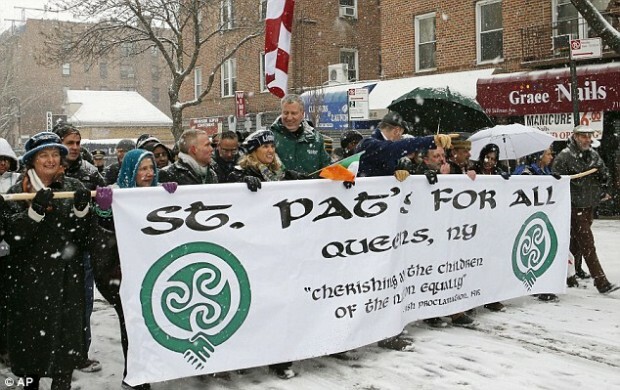 The St. Pat’s for All parade stepped off in Queens under a heavy snowfall. It was held as an alternative to the city’s centuries-old St. Patrick’s Day Parade in Manhattan, which for years has excluded gay groups and this year is scheduled for March 17. De Blasio, a Democrat, refused to march in last year’s Manhattan parade because it wasn’t fully inclusive, and Guinness beer dropped its sponsorship. Organizers said last year, though, that they would welcome one gay contingent under its own banner this year. 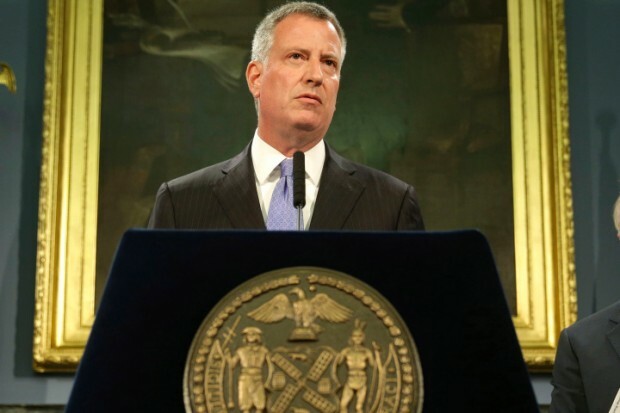 A top aide to Bill de Blasio’s wife who lives with her convicted killer boyfriend is taking a leave of absence after her son was arrested for trespassing. 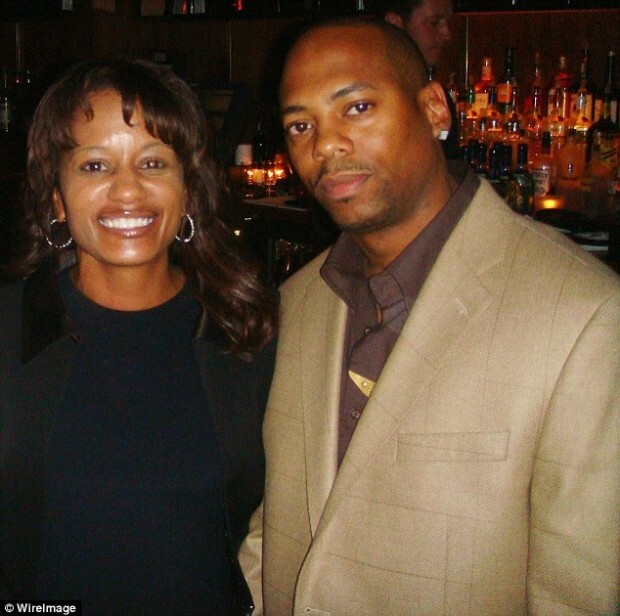 Rachel Noerdlinger, 44, is the chief of staff to the New York Mayor’s First Lady Chirlane McCray. 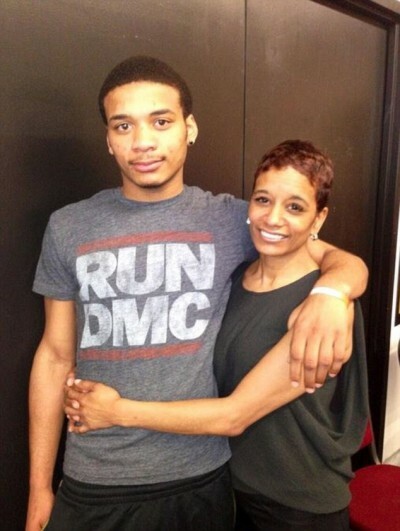 On Monday she announced she would be taking a leave of absence after her 17-year-old son Khari was arrested for allegedly trespassing in a building which is known as a drug hot spot in Washington Heights, Manhattan, at the weekend. He was apprehended with three friends, two of which had small amounts of marijuana on them, law enforcement sources said. The leave from her $170,000 a year role is unpaid, according to a City Hall source, reports the New York Post. It wasn’t immediately clear when or if Noerdlinger would return.